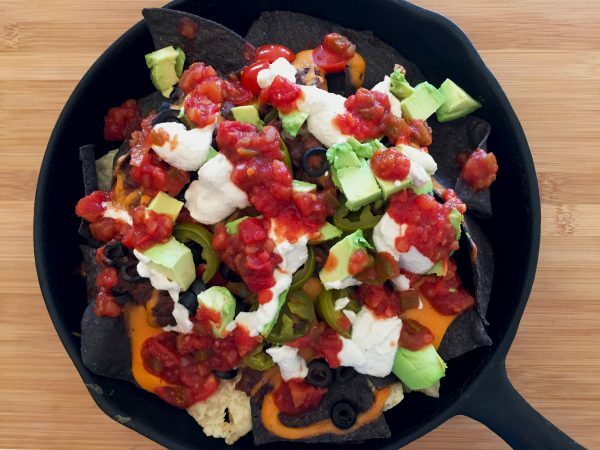 No one will know these Vegan Nachos are vegan. The cheese sauce and sour cream taste just like the non-vegan versions, only without the bad stuff. Add black and refried beans to a small saucepan. Stir in lime juice, chili powder, cumin, salt and cayenne pepper. Heat over medium heat until flavors combine and beans are warm. Spread 1/2 of the chips in a large oven proof skillet, casserole dish or baking sheet. Spread 1/2 black bean mixture over chips. Drizzle 1/2 cheese sauce over beans and chips. Top with 1/2 chopped tomatoes. Layer the remaining chips over first layer. Add the remaining 1/2 bean mixture, cheese and tomatoes. 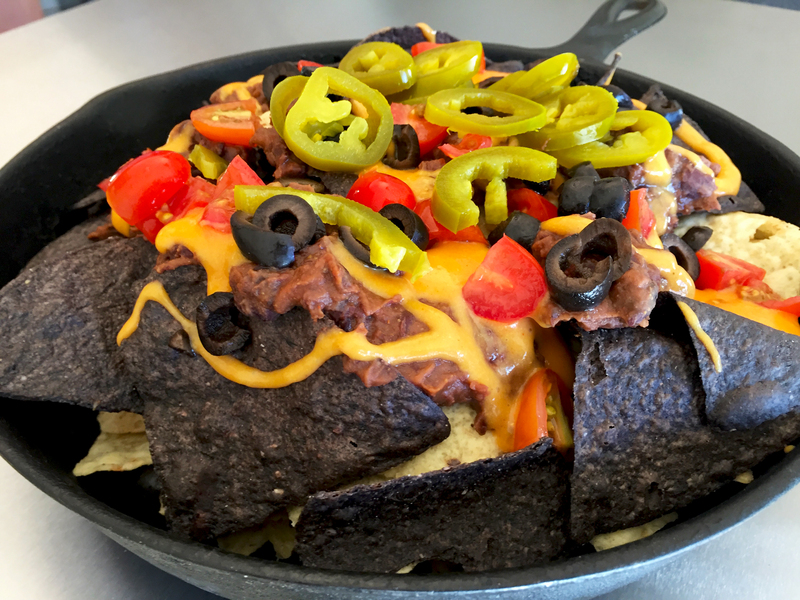 Top with black olives and jalapeños. Heat in oven until cheese sauce is warm, about 5 minutes. 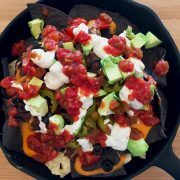 Remove from oven add drizzle with sour cream and salsa. Top with diced avocado. Enjoy! 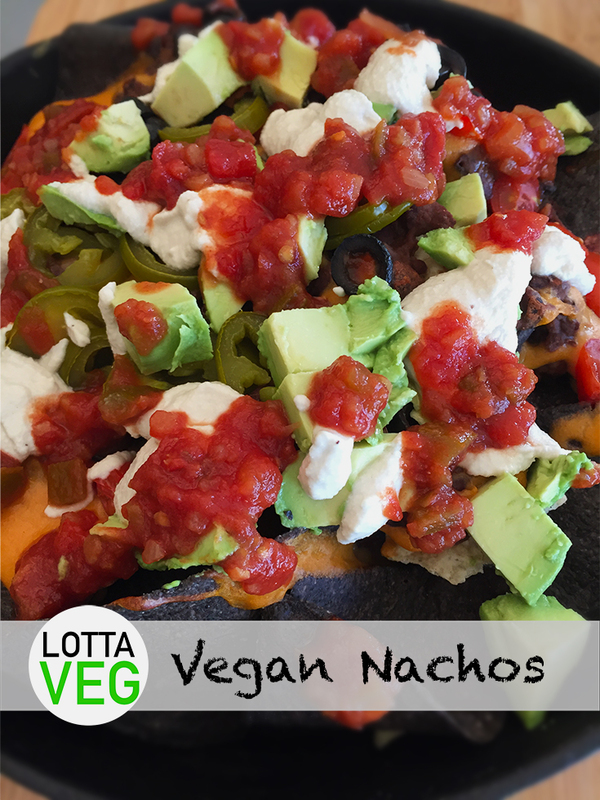 Serving size is 1/6 of the vegan nachos.